A global poll of security leaders suggests brands are using identification methods that are frustrating their customers – and causing them other problems, too. IBM Trusteer conducted the research with Information Security Media Group (ISMG), the world’s largest media organisation devoted solely to information security and risk management. The resulting ISMG 2018 Digital Identity Trust Survey has revealed that 96% of polled security leaders said that a frictionless digital customer experience was a priority for their organizations, yet 37% still rely on usernames and passwords to authenticate digital customers..
Nearly a quarter – 23% – said their organization had suffered at least one cybersecurity incident as a result of unauthorized access to these accounts in the past year, while 17% were unsure. In addition, another very high percentage – 96% – said they expect the same or increased budget for securing digital trust in the year ahead on things like new tools to improve the security of user authentication and account access and a frictionless customer experience. Overall, concludes the study, organisations are focused on improving customers’ digital experience and have budget allotments to do so. “However, they may be using authentication methods that are not only frustrating for their customers, but causing other challenges as well. These include abandonment into more expensive channels like call centers, vulnerabilities that lead to data loss and current authentication methods that impede digital business growth. “Unless their authentication and verification methods are upgraded, a majority of organizations budgeting for digital identity trust improvements in 2019 will continue to face the challenge of finding the right balance between security and the customer experience. Customer feedback tells us that current solutions are inefficient,” claim the pair. 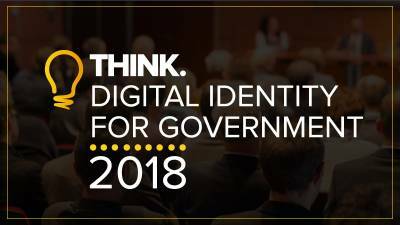 Go here to download the full survey, whose results may well be discussed at the upcoming Think Digital Identity for Government 2018 conference in London in November. The conference will also reflect on the recent confirmation in a written Parliamentary answer earlier this month that the government remains committted to its GOV.UK Verify Digital Identification scheme, despite recent press reports that the project is losing cross-Whitehall support.